Adi Nur Cahyono was born in Banjarnegara, Central Java, Indonesia. In 2000, he completed his secondary education at Senior High School in Karangkobar, Banjarnegara, and started his university studies in Mathematics Education at Universitas Negeri Semarang (UNNES), Indonesia, where he obtained his bachelor degree in 2004. 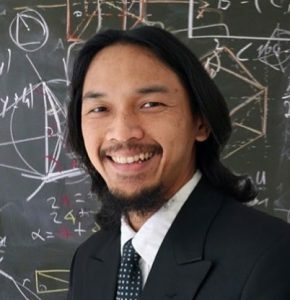 He pursued his master’s degree in Mathematics Education at Universitas Negeri Semarang in 2006 and graduated in 2008. Beginning in 2005, he worked as a senior high school mathematics teacher for 3 years, and in 2008 he worked as a lecturer in mathe- matics education in an institute of teacher training and education science for 1 year. In 2009, he started a new job as a civil servant lecturer at the Department of Mathematics of the Faculty of Mathematics and Natural Sciences, Universitas Negeri Semarang. Applied Approach (AA) Training Program for UNNES Lecturers. Session: Blended Learining (10 hours). February 2019. Blended Learning at Universitas Negeri Semarang. Socialization in 8 Faculties. January 2019. Central Java Vocational Mathematics Teacher Training. Title: Uses of ICT in Mathematics Learning in Vocational Schools. January 2019.
International Journal on Emerging Mathematics Education (ISSN 2549-4996) published by Universitas Ahmad Dahlan, Indonesia in collaboration with SEAMEO Regional Centre for QITEP in Mathematics. Copyright © 2019 Adi Nur Cahyono. All Rights Reserved. The Magazine Basic Theme by bavotasan.com.